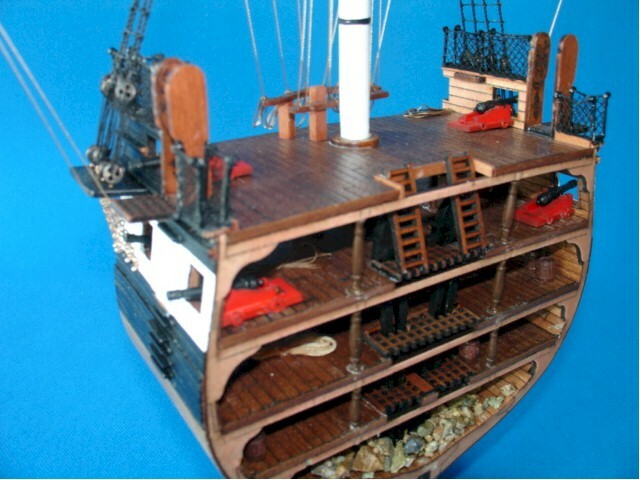 This beautiful Cross Section Model is Not a kit & is fully scratch built. It comes ready for display. What you see advertised is exactly what you will receive after you purchase the item. This model is handmade to the highest level of craftsmanship. We use teak planking for the hull which is then layered with copper sheathing. Thin copper plates are applied to the lower section of the hull. 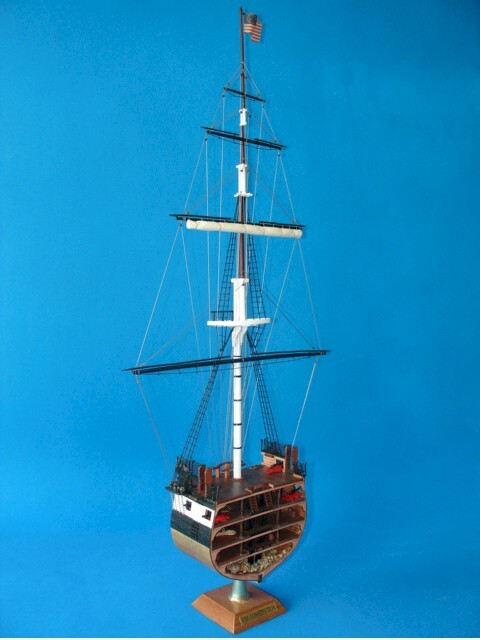 We use solid wood masts. The sails are made of hand sown linen. Canons are made of brass. All rigging is hand laid. The rigging is treated with a special wax for durability and presentation. 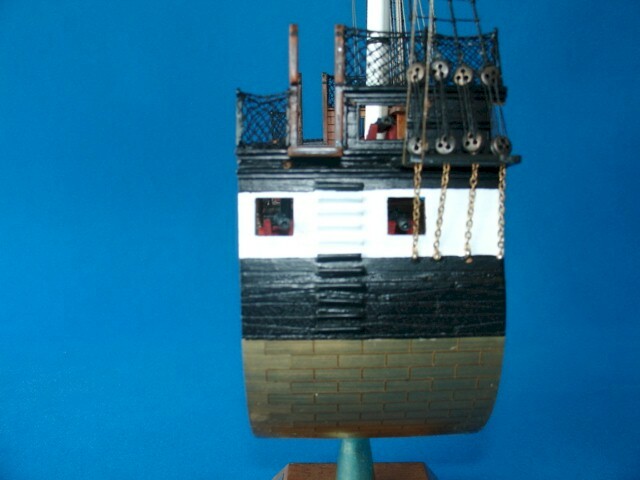 The ship is varnished to give a striking finish. 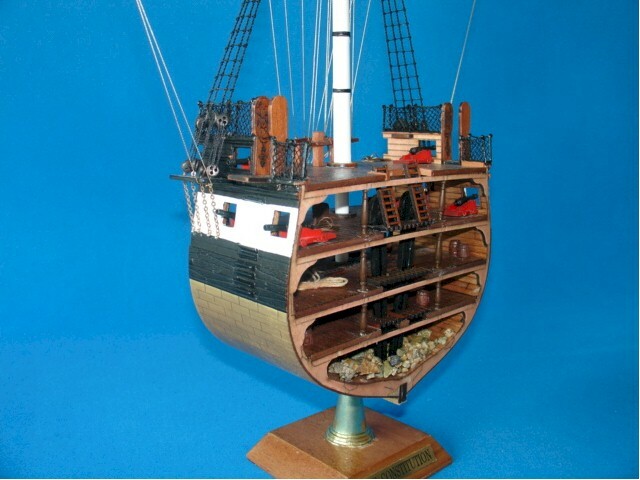 This cross section model is one of the famous 'USS Constitution', it is built to the same high standards of our full hull models. It is constructed from scratch by skill craftsmen, and it is true to the original's construction with each plank laid one at a time from scratch. The cross section is faithful to the original in the details. 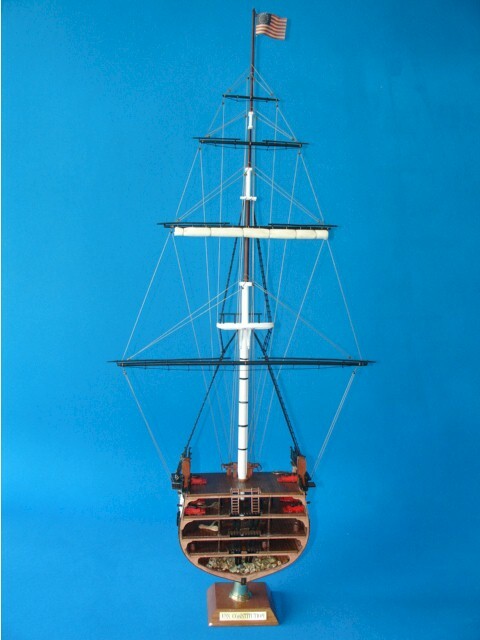 At each step along the way, all operations are beautiful done by hand including a finely finished painted the color, and specially designed with a copper lining on the hull, just like the original. It is also finely finished from solid rose wood backboard makes it a treasured addition to collection and decor!